This is one of two new characters I've made. 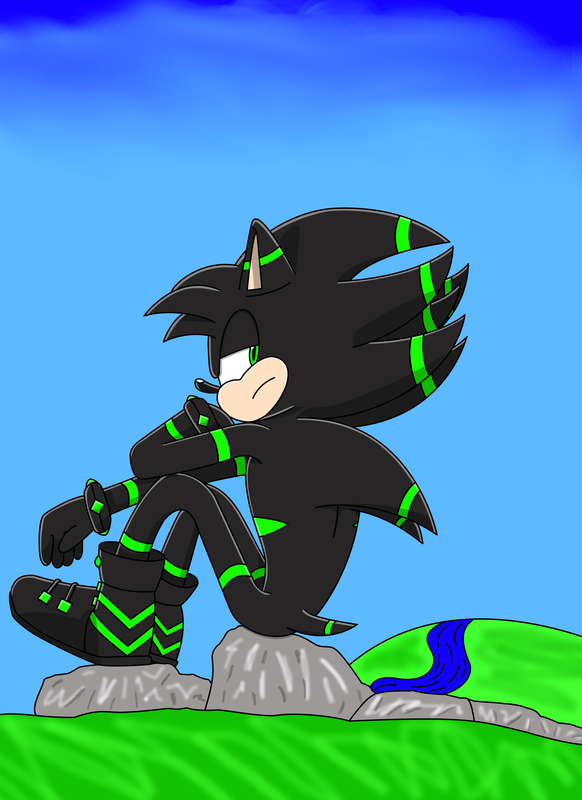 His name is Leo the Hedgehog aka The Mind Walker. His wife will be coming soon. Leo is really a loner. He has the ability to walk the halls of the mind. Opening the doors of memory and thought and taking a peek. The mind is lightning fast so in that respect he can take what seems to him to be several minutes or even hours but be in and out in an instant in real time. At any moment he can see into a person's memories and thoughts and can even alter them. He is often depressed and has little to no trust in people. Being able to always know what someone is thinking and what they think of him makes him very anti-social. He also has the ability to alter people's minds and their memories and even give them nightmares. But he doesn't like to use it. He used to use it to get vengeance on bad people or even if they were just mean. But it always made him feel bad afterwards. He can also give people good dreams if he's in a really good mood and wants to make the person happy. It was fate that he met his wife and that they fell in love. She's the only one who he feels understands him and doesn't think bad thoughts about him. Without her he would've lived alone forever.